We would like to thank you for your support in the past academic year, and we will continue to write more interesting articles about Chongqing and China in the upcoming semester. 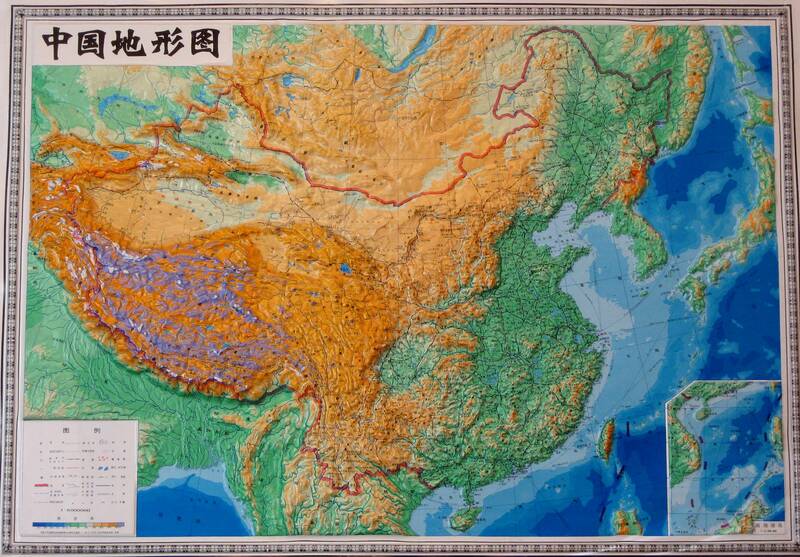 As we all know, our institute has been in Chongqing since December 2007. In this past ten years, we’ve witnessed the development and changes of this city. For a variety of reasons, we often hear people making comparison between Chongqing and Chengdu. Therefore, for the first issue of Chongqing Stories in this semester, we decided to talk about the two cities that are closest friends and rivals at the same time. Different terrains have created different urban appearances. Like most plain cities, Chengdu is a ringed city with layers of roads encircling the city centre. In the main urban area of Chongqing, Yangtze River and Jialing River have hindered the connection of the city, thus it can only develop in groups and create an economic centre in each district. 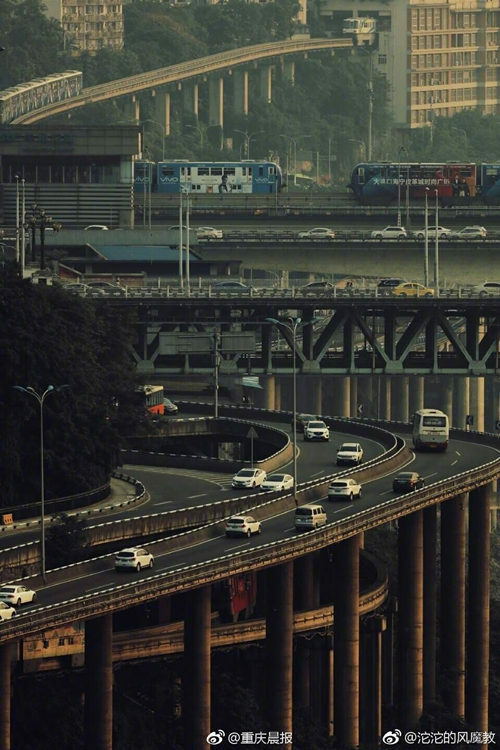 Although envying the open terrain of Chengdu Plain – where it is possible to set up non-motor vehicle lanes, with bicycles and mopeds shuttles running between them – Chongqing people did not give up the ‘narrow and circuitous roads’ that have existed since ancient times. 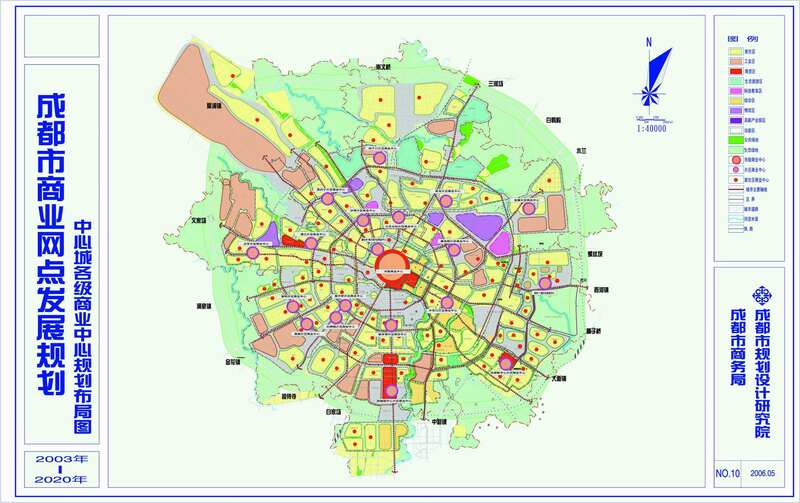 They proposed a homeopathic solution: to create a three-dimensional transport network, with Niujiaotuo area being a good example of this policy (see picture below). 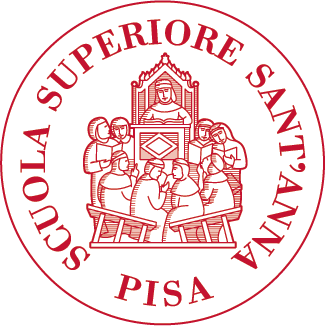 Different urban appearances have created different personalities of its people. The character of Chengdu natives is gentle and dilatory, just like the Chengdu dialect. 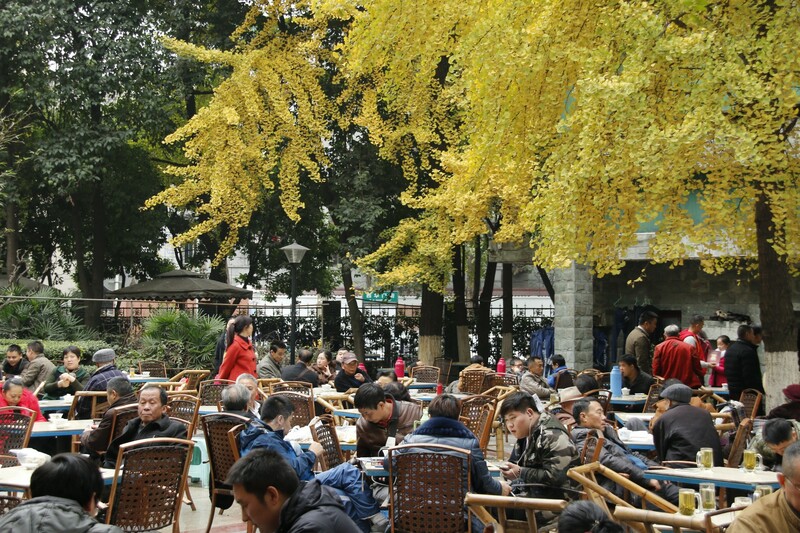 Tea houses and majiang parlors are scattered everywhere in Chengdu. On the other hand, living in an environment where it’s not easy to survive, Chongqing people are more direct and staunch in personality, so is its language. Although dissatisfied with each other’s personality, both people from Chongqing and Chengdu agree that girls in Sichuan-Chongqing region are the most beautiful in China. Chengdu girls are more traditional, introverted, and well-behaved, both in dressing style and character. Adding their accents of Chengdu dialect, it’s hard to say no to them. Chongqing girls tend to dress sexier and they are more straightforward. There are many reasons for this kind of personality differences. Firstly, weather condition plays a part in shaping the character of people who lived there. The weather in Chengdu is not as extreme as it is in Chongqing, and the climate in Chengdu is mild and more pleasant. Secondly, cultural differences. Businesses have long been flourished in Chengdu Plain since ancient times, which fostered the shrewd and sleek Chengdu people. Chongqing was more effected by dock culture and immigration culture; thus, its people are more unrestrained and frank. In history, the development of Chongqing and Chengdu complemented each other until the opening of Chongqing as a treaty port in 1890. Thanks to geographical advantages, Chongqing was directly under the jurisdiction of the Chinese government for three times and became the temporary capital during Anti-Japanese War. After the founding of the People’s Republic of China, it was listed as the fourth major industrial, after Shanghai, Wuhan and Shenyang. In 1955, Central Government canceled the direct administration of Chongqing and put it under the leadership of Sichuan province. Until the mid-1990s, considering the various reasons such as the Three Gorges immigration and economic development, Chongqing was once again directly under the jurisdiction of Central Government, becoming a megalopolis with a population of over 30 million people. 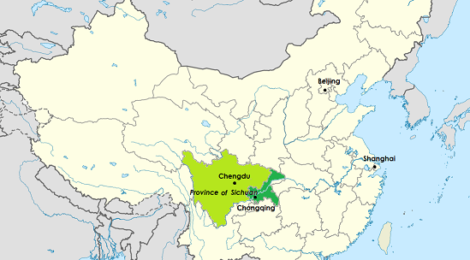 Chengdu was the centre of Shu prefecture in Qin dynasty, and it enjoyed political advantage as the centre of the area. 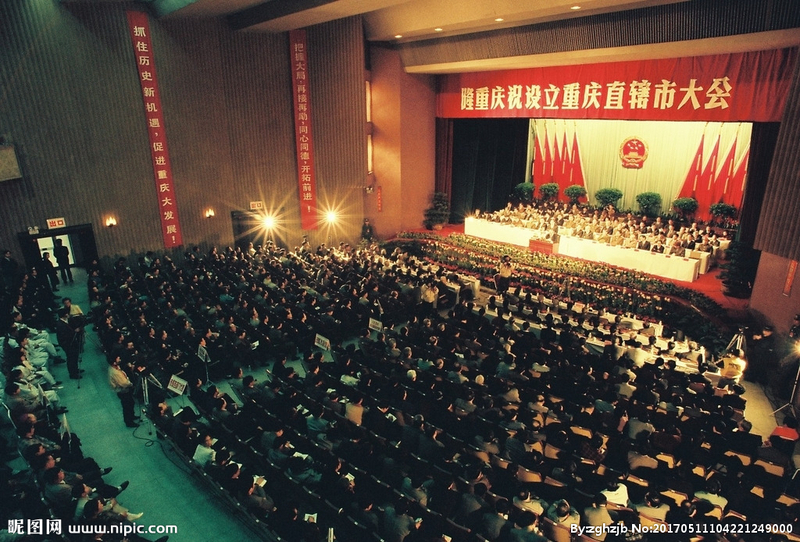 After the establishment of the People’s Republic of China, Chengdu became the capital city of Sichuan province and political centre of western China. With its abundant natural resources and location advantages, Chengdu has steadily developed its economy and attracted more and more talents. It has established a national high-tech industrial base, a trade and logistics centre, and has become an important comprehensive transportation hub in southwest China. In the next issue of “Chongqing Stories”, we will continue to explore these two charming cities by interviewing friends who have lived and worked in this two cities to share their experiences and thoughts with us.